This hair barrette has stamped sterling silver piece over the nickle silver barrette back. It measures approximately 3" long by 7/16" wide. 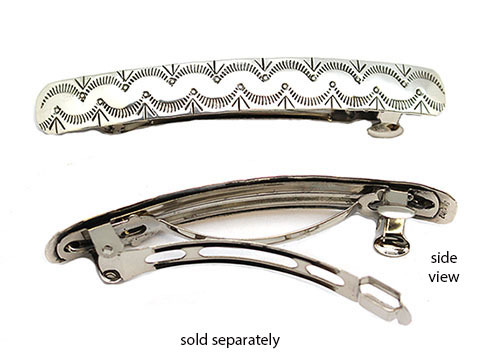 Barrette clip is about 2" long. Crafted by Navajo artisan Bernice Tsosie. Stamping will vary. Not sold in pairs. Price is each price.